A couple weeks ago the Supreme Court made a shocking (but welcomed) announcement: the high court would be hearing the first gun case in a decade. The last time the Supreme Court heard a gun-related case was back in 2010 when they ruled in the McDonald case that Chicago's handgun ban violated an individual's right to keep and bear arms. 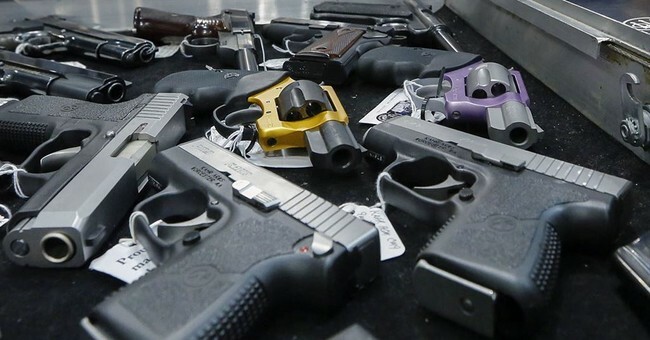 That decision reaffirmed the Court's 2008 Heller decision that said "the Second Amendment protects an individual right to possess a firearm unconnected with service in a militia, and to use that arm for traditionally lawful purposes, such as self-defense within the home." When newspapers like The Chronicle recognizes gun control advocates' legislative progress can be undone by the Court, you know there's real danger to the anti-gun agenda, which is great for Constitution-loving folks. Anti-gun advocates have long used states like California and New York as prime examples of their gun control efforts being put into practice. The Court plans to hear New York State Rifle & Pistol Association v. City of New York, which will examine New York City's ban on carrying a licensed and unloaded gun outside of city limits. If licensed to carry, residents can only do so within city limits. The problem is gun ranges are located outside of city limits and some want to be able to carry their firearm throughout the state. Should SCOTUS overturn this law, we could see constitutional carry across the country, meaning people don't have to ask the government for permission in order to carry a firearm. We know that whatever the Supreme Court rules will impact every state and every American. California included. Let's hope the Supreme Court rules in favor of the Constitution and smashes a giant hammer through their gun control agenda. Editor's note: An earlier version of this story indicated that the last gun-related case the Supreme Court heard was the 2008 Heller case. It was actually the 2010 McDonald case.